"When secured creditors like the respondent are driven from pillar to post to recover what is legitimately due to them, in attempting to avail of more than one remedy at the same time, they do not "blow hot and cold", but they blow hot and hotter." The Supreme Court has held that a secured creditor can file a winding up petition even after obtaining a decree from the Debts Recovery Tribunal ["DRT"] and a recovery certificate based thereon. 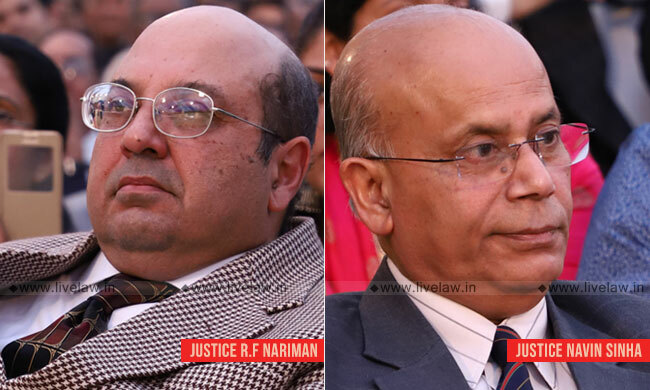 The bench comprising Justice Rohinton Fali Nariman and Justice Navin Sinha dismissed appeals (Swaraj Infrastructure Pvt. Ltd vs. Kotak Mahindra Bank) against Bombay High Court judgment that had rejected the contention that once a secured creditor has obtained an order from the DRT, and a recovery certificate has been issued thereupon, such secured creditor cannot file a winding up petition as the Recovery of Debts Act is a special Act which vests exclusive jurisdiction in the DRT. The contention that, a secured creditor can file a winding up petition only on giving up its security was also rejected by the High court. Referring to relevant statutory provisions, the Apex court bench upheld the high court view and observed that when it comes to a winding up proceeding under the Companies Act, 1956, since such a proceeding is not "for recovery of debts" due to banks, the bar contained in Section 18 read with Section 34 of the Recovery of Debts Act would not apply to winding up proceedings under the Companies Act, 1956. The court also dismissed the contention that the winding up of a company shall be deemed to commence at the time of presentation of the petition for winding up, and that, if this is so, the stage at which a secured creditor has to give up his security is at the stage of the filing of the winding up petition itself. "We may only end by saying that cases like the present one have to be decided by balancing the interest of creditors to whom money is owing, with a debtor company which will now go in the red since a winding up petition is admitted against it. It is not open for persons like the appellant to resist a winding up petition which is otherwise maintainable without there being any bona fide defence to the same. We may also hasten to add that the respondent cannot be said to be blowing hot and cold in pursuing a remedy under the Recovery of Debts Act and a winding up proceeding under the Companies Act, 1956 simultaneously", the bench said. As a parting shot, the bench further remarked: "When secured creditors like the respondent are driven from pillar to post to recover what is legitimately due to them, in attempting to avail of more than one remedy at the same time, they do not "blow hot and cold", but they blow hot and hotter"